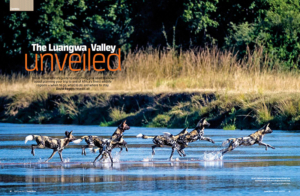 Read David Rogers feature on South Luangwa published by Travel Africa Magazine which gives advice about travelling to Zambias South Luangwa National Park. When I first visited South Luangwa, in north-east Zambia, in 1995, I was captivated by the meandering river, majestic forests and patchwork of beautiful lagoons — not to mention the staggering concentrations of wildlife. Since then, I have returned twice a year or more to research books, photograph lodges and host workshops. If I could pick just one region to visit for the rest of my life, it would be this. The three national parks, South Luangwa (9050sq km), North Luangwa (4636sq km) and Luambe (254sq km), along with their neighbouring game management areas (GMAs), together create a 13,940sq-km ecosystem that stretches from Malawi down to the Middle Zambezi. It is surprisingly little changed since explorers such as Livingstone first came here in the late 1800s and a place where you can find the old Africa. You will not see the Big Five in a day here, nor will you encounter the wide-open grasslands and immense herds of East Africa, but you will find one of the most scenic and spectacular wildlife areas in the continent. Luangwa is famous for its leopard (and it’s common to see three different individuals in a single drive during the dry season) but there are more than 60 species of large mammal here, including wild dog, lion, elephant and vast pods of hippo. What make it even more special are its endemics, such as the graceful Thornicroft giraffe and the pale Cookson’s wildebeest. The birding is also outstanding with more than 430 species, including huge flocks of crowned cranes and yellow-billed storks. The indigenous communities here include the Kunda ethnic group in the Mfuwe area, and, further south, the Nsenga people, with the Bisa tribe around North Luangwa and Luambe. Most were traditionally hunters and they are given permits to fish inside the park. Since tourism started here in the 1950s under Norman Carr, generations of camp owners, such as Robin Pope, John Coppinger, Derek Shenton and Phil Berry, have instilled an ethic of authenticity. The classic, unfussy approach to safaris, the friendly people and the exceptional guiding make Luangwa unique in my opinion. And it’s amazing how many times I have stood at sunset or on the high ramparts of the Chichele Hills, and heard people from all corners of the world reach the same conclusion: “I feel like I am part of this place, that this is where I came from. I have to come back soon.” Luangwa is that kind of addiction. The geological history of Luangwa reportedly dates back some 280 million years, coinciding with tectonic upheavals that resulted in the Great Rift Valley — a 6000km scar that runs through Kenya, Malawi and Zambia — and formed the African Great Lakes. The eponymous river has its source in north-eastern Zambia in the Mafinga Hills and has gouged a valley that is 700m deep and up to 100km wide. Hemmed in by the Muchinga Escarpment on one side and the Mphata Hills on the other, it flows south-west before being captured by the Zambezi, on its route east towards Mozambique and the Indian Ocean. The Muchinga Escarpment is around 700m high, characterised by granite and quartz inselbergs and ridges covered with impressive forests of miombo woodland, especially Brachystegia. Roan antelope, sable and common duiker are found in these highland areas. From North Luangwa, one can explore the Mwaleshi River’s hippochoked pools and walk up into the foothills. 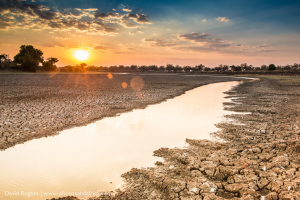 In South Luangwa, the Mupamadzi, Luwi, Katete, Kapamba and other rivers drain eastwards off the escarpment and into the Luangwa, providing water for large concentrations of animals and corridors for wild dog and lion. Walking along any of these channels is fantastic as the water is clean and clear and there are few crocodiles. The focus in South Luangwa is the park’s meandering river, whose vigorous flooding alters its course constantly, creating textbook twists and wafwas (ox-bow lakes). At the end of the rains, hippo, puku and impala crowd the fertile grasslands and leopard patrol the narrow drainage lines. Barbel trapped in the shrinking lagoons bring in flocks of yellow-billed storks and pelicans to feed. The river itself also attracts wildlife, especially during the dry season when thousands of carmine beeeaters nest in the steep banks. Luangwa’s woodlands are extensive and mature, with tall stands of African ebony, leadwood, marula, mopane, sausage trees and wild mango, all of which provide habitat for different creatures, large and small. The great, open plains also provide excellent game viewing. Some, such as the Lupunga Spur, are made up of sand and clay, and were previously mopane forest that was flooded by the river, opening it up for grazing. These areas offer a luscious environment during the wet season. Black cotton soil also covers large expanses of the park near the river, for example, Lion Plain. The earth is rockhard in winter and sludgy in summer, and the foot holes left by elephant, hippo and other animals create ankletwisting ground for antelope and buffalo, making this superb hunting territory for lions. Game viewing in South Luangwa is excellent throughout the year, although in the summer (wet season), the wildlife tends to disperse and the grass is much higher so visibility is more difficult. However, the area around Mfuwe and high ground near Chichele becomes very active, as animals stick to the high ground making use of the all-weather roads. Birding is best in summer when the migrants arrive and many avian species are in their breeding plumage. In North Luangwa, you will see the same animals and birds but the area is particularly well known for its vast herds of buffalo. Black rhino have been reintroduced by the North Luangwa Conservation Programme. The big difference between South and North is that the latter is much less developed and you are very unlikely to see anyone else. It is possible to go on game drives, night explorations and boat trips (only in summer) in the Luangwa Valley, which was also one of the first regions in Africa to offer on-foot safaris. Whereas 4WD jaunts are the most popular option in the South, the North is almost entirely a walking park. Luambe, the third and smallest of Luangwa’s parks, is tucked between the other two. 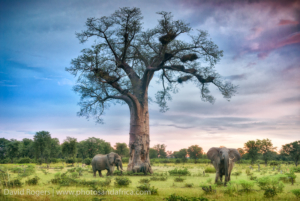 It offers spectacular riverfrontage, flat terrain and a lot of mopane, which is good for elephant. As the least developed of the trio, with only one tented camp, it is undervisited — but for those who make the effort to travel there, it is a truly wild experience.Morning outings usually begin at sunrise before it gets too hot and guests return before midday for a late brunch and an afternoon siesta. Afternoon activities start as it begins to cool down — when animals become more active — and usually end with a sundowner and perhaps a night drive, on which you are likely to see nocturnal species such as genets and civets, as well as lion and leopard. Most camps will offer a longer day in the bush, too, with a picnic lunch — a wonderful experience. And as with most national parks in Africa, off-roading is not permitted, although there is some flexibility for very good sightings. You can do a morning hike as part of a normal safari or you can opt for a multi-day adventure. The wildest walking is along the Mupamadzi River in South Luangwa and the even more remote Mwaleshi River in North Luangwa. It’s not uncommon to come face to face with lion and buffalo. Visitors can walk up the escarpment and swim in waterfalls, and while you will not cover great distances on foot, you will spend time learning about some of the smaller flora and fauna and perhaps sneak up on some larger animals. The guides are highly skilled and always accompanied by an armed scout and a tea bearer to ensure adequate refreshments. Birding, mammal and tree lists are offered by most lodges and ticking off species is an interesting way of filling some of the quieter moments. Robin Pope Safaris and Norman Carr provide river safaris in the emerald season (December to March), which allow you to explore up to 40km to the Nsefu Sector. Here you can visit the Nsefu stork colony to see them nesting and breeding, while Tafika Camp offers mountain biking. Most establishments support school projects and offer highly recommended village tours. Moreover, be sure to visit Tribal Textiles, a batik factory near Mfuwe Airport that was founded by Gillie Lightfoot more than 20 years ago and now employs more than 100 Zambians led by her protégé Moses Musa. Nobody should visit Luangwa without taking a tour of this outstanding facility, which showcases the artistry of the Zambian people. To experience a combination of camps and explore the park fully by road, travel between mid-May and October is recommended, particularly for first timers. During the driest times, in October and November, the animals are desperate and there is thrilling predator action, as well as the excitement of seeing the first shoots of green on the dry trees and young impala taking their first steps. It is extremely hot at this time. However, river trips are best from February to March, when the water level is high and it’s possible to explore flooded lagoons and forests and photograph the spectacular migrant birds and emerald scenery. Weekends can become busy in the central areas of the park around Mfuwe, especially since the tarred road to Chipata was opened. To escape the crowds, it’s best to head for the Nsefu Sector and the camps around Lion Plain and Chindeni Hills. North Luangwa is never busy but it’s only possible to visit these areas in the dry season. These are the wettest months and you should expect heavy afternoon thunderstorms. are nesting in the colonies. There are plenty of colourful butterflies), flowers and moths to be seen, too. This is the end of the wet season. Expect clear skies with some white clouds and very pleasant daytime temperatures. The river starts to drop and, while there are limited boating opportunities, it’s a great time for walks. The bush camps are being built and the roads prepared. Migrant birds have now left. The grass is still quite high and animals disperse, especially early in the season, but there is still great wildlife to be enjoyed. These are the winter months, with no rain and the coolest temperatures. It’s the start of the busy season, with bush camps opening and most roads are graded. Expect game drives, comfortable walking and opportunities for picnics. As the river starts to drop and vegetation is depleted, it becomes easier to encounter game. Wildlife is excellent. The dry season is very good for other species, including Lilian’s lovebirds, racket-tailed rollers, crowned cranes, queleas and many other specials. This is a dry time of year and becomes increasingly hot towards October, when animal concentrations around the river are at their highest. 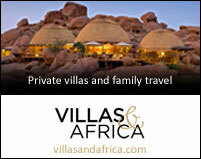 This is peak wildlife viewing and excellent for walking, game drives and all-day picnics. The hides become increasingly active. In the midst of the dry season, the lagoons and river are a magnet for most species, and for predators this is a time of abundance. 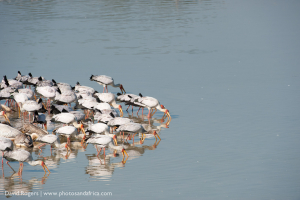 There are fishing parties to be enjoyed in the lagoons, which start to dry up, and birds flock to feed on barbel. Trees start to lose their leaves and the grass is short, but sausage tree flowers bloom and mangoes fruit. Colourful carmine bee-eaters nest in the riverbanks; you may spot pretty white-fronted bee-eaters), too. The temperatures continue to build and there are dramatic thunderstorms; then it pours. Many of the bush camps are closed and, if the rains do fall, it can limit driving to all-weather roads only. The predator action gets better and better until the start of the rains, at which time animals begin to disperse. Impala drop their young and the new life begins, with fresh grass and leaves on the trees. * Get up an hour before sunrise or you will miss the best light and predator action. * Visit in the emerald season the skies are magnificent, as are the macro and birding opportunities. Only Robin Pope Safaris and Norman Carr Safaris offer river trips at this time. 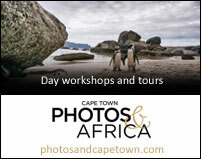 * Book a private vehicle or join a photographic trip, so you are with like-minded people who get up early and share the quest for light and breathtaking landscapes. * Consider a camp with specialist photographic hides. Shenton Safaris’ Kaingo Camp has hippo, carmine bee-eater and elephant hides that provide great opportunities for stunning close-ups. * Take a 500mm for birds, a 200mm for leopard, a very wide-angle lens to capture the awesome landscapes and skies, and something inbetween. A macro is a must during the green season. It’s useful to have two camera bodies so you don’t need to change lenses too often. * Keep your camera on continuous shooting and don’t be shy of filling up cards. * When using a spotlight on night drives, start experimenting early, before you see a leopard, with settings at 800 ISO, f8 and 1/100th of a second. Norman Carr is to South Luangwa what James Stevenson-Hamilton was to Kruger National Park. Largely responsible for the formation of national parks in Zambia and starting tourism, particularly walking safaris, he arrived here in 1939. It was a year after the British colonial government of Northern Rhodesia proclaimed a reserve in the Luangwa Valley for the control of elephants. In the following year, Carr was appointed as a game warden, and in 1949, a deal with Chief Nsefu saw the establishment of the Nsefu Sector and the first camp, which is now a historical monument and is run by Robin Pope Safaris. During the 1970s and ’80s, when Zambia was fairly isolated, poaching was rife and thousands of elephant and the entire population of black rhino were wiped out of the Luangwa Valley. Since then, some dedicated individuals and organisations have bolstered the efforts of the underfunded government’s Department of National Parks & Wildlife. The North Luangwa Conservation Programme, supported by the Frankfurt Zoological Society, has taken the lead in the northern park, which has, despite its isolation, been very tightly managed for nearly two decades. In addition to running highly organised patrols on foot and by air and starting community projects, it has successfully reintroduced black rhino. which are still allocated in GMAs. Most of the camps include a levy to contribute to conservation and community projects. Project Luangwa, which deals with education, community upliftment and gender issues, was started by Jo Pope of Robin Pope Safaris, and is now managed by Karen Beattie and Dave Hopson with the support of several lodges. Guests can sponsor children, bring books out with them and, in so doing, support four schools. The Chipembele Wildlife Education Trust is a similar operation. David Rogers feature on South Luangwa is published here with the kind permission of Travel Africa Magazine. 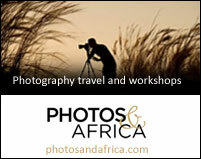 David Rogers (the founder of Photos and Africa) has been documenting African landscapes and wildlife for the last 30 years as a writer and photographer for numerous travel and environmental magazines and as a photographic guide and teacher. He was born in Cape Town, and still lives there with his wife, Jenni, and two sons Liam and Dane. He has more than 15 books and 100s of magazine stories to his credit.